First Aid Action are very flexible in the delivery of all courses. premises for your convenience or an outside venue can be arranged. 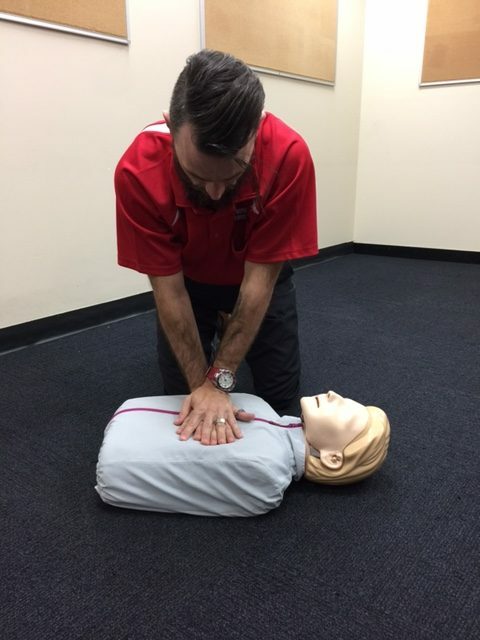 Learn how to Provide First Aid with our skilled first aid trainers. 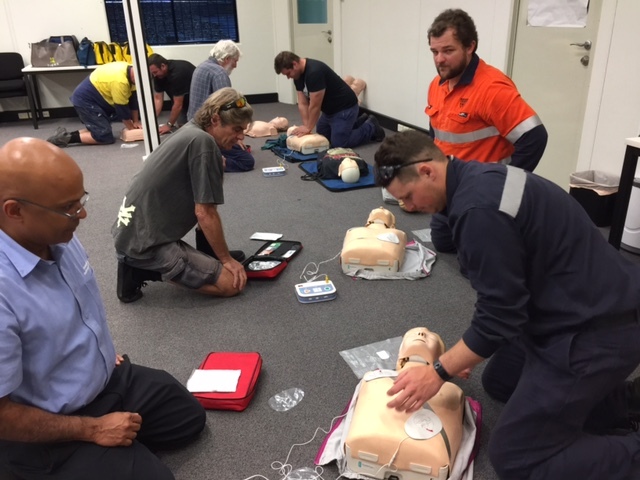 We offer a range of First Aid Courses, First Aid Training and CPR Training, as well as specialised first aid courses in Anaphylaxis, Live Low Voltage Rescue, and Asthma Management First Aid courses. 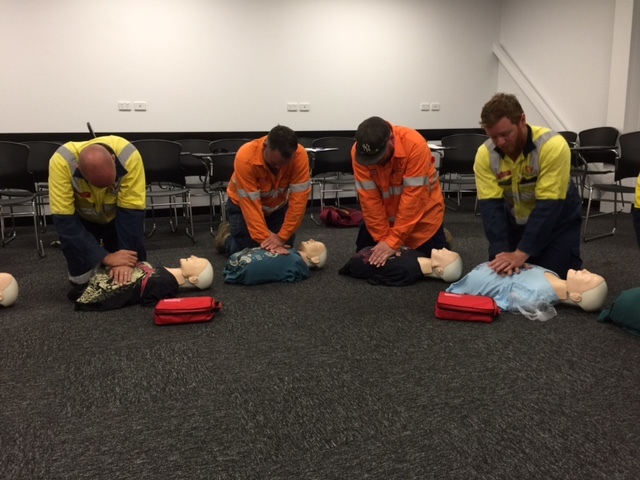 First Aid Action is the preferred first aid training company to many public and private organisations in road, rail, oil and gas, education, child care, medical, electrical and manufacturing industries. 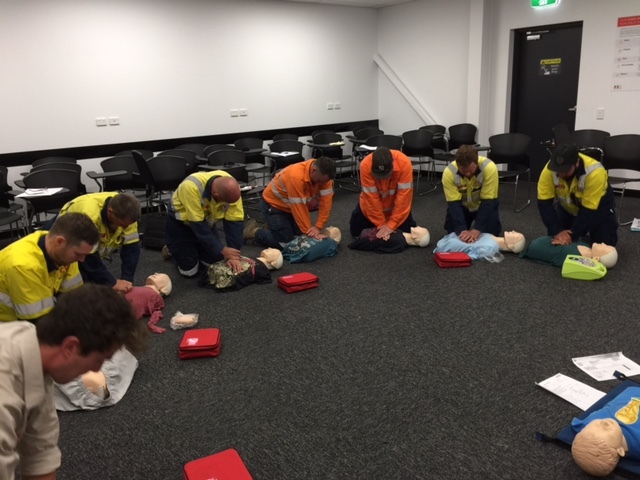 First Aid Action offers tailored first aid training programs to suit your industry or business requirements. 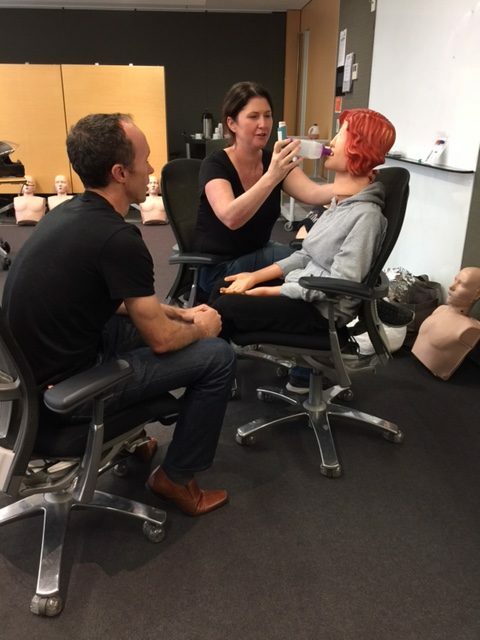 Our courses are facilitated with a hands on approach using props for realistic scenarios relevant to our clients needs. 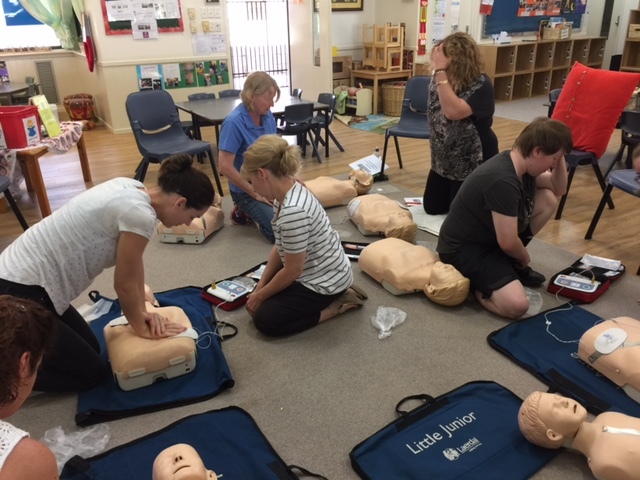 We use group activities, video and PowerPoint presentations ensuring our first aid courses are interactive, engaging and an enjoyable experience. First Aid Action have first aid trainers with backgrounds in Nursing, Ambulance, Paramedic and Emergency Response. 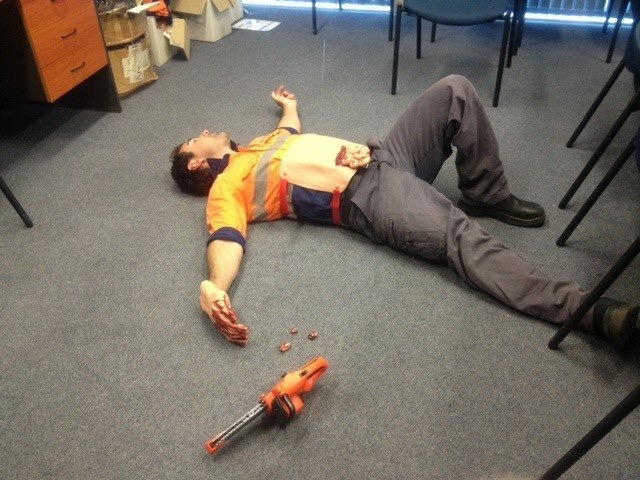 We provide on-site first aid training or have venues located in Ipswich and Brisbane. First Aid Action are very flexible in the delivery of all first aid courses. All first aid and CPR training courses can be conducted on your premises for your convenience or an outside venue can be arranged. 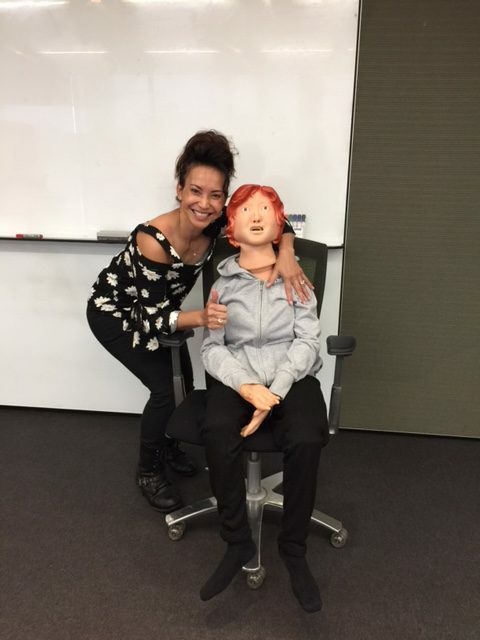 Eileen likes to help Luella teach first aid! Staff from CV services Energy doing a great job at saving lives! “We had the pleasure of having our CPR and First Aid updated by First Aid Action. Luella, the trainer was more than helpful with meeting the requirements of all individuals on the day who ranged from first time to refresher. Luella’s knowledge was vast and she spoke in laymans terms so that all could understand what the expectations were. 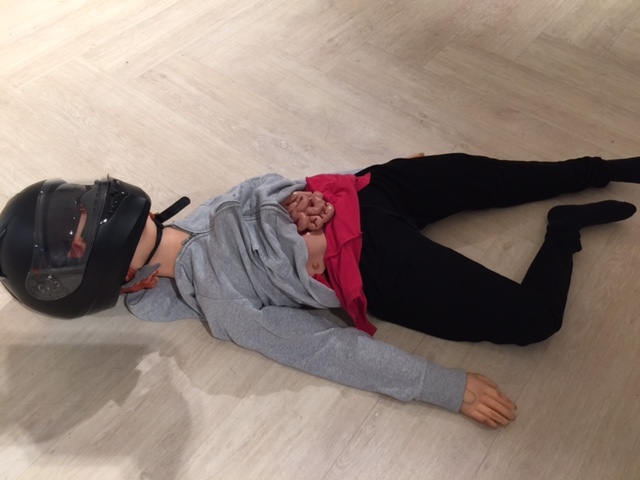 “I just wanted to congratulate you on a great first aid course. 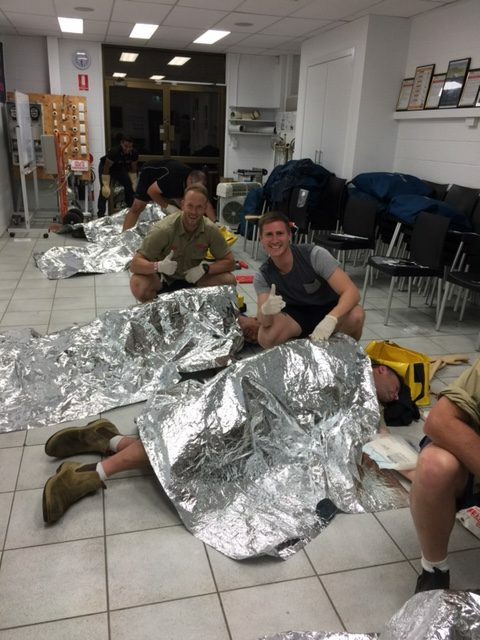 I have been attending first aid courses for 22 years and was a flight attendant for Ansett for eight years, where first aid was part of my daily life. “The training courses that Luella delivers are first class. 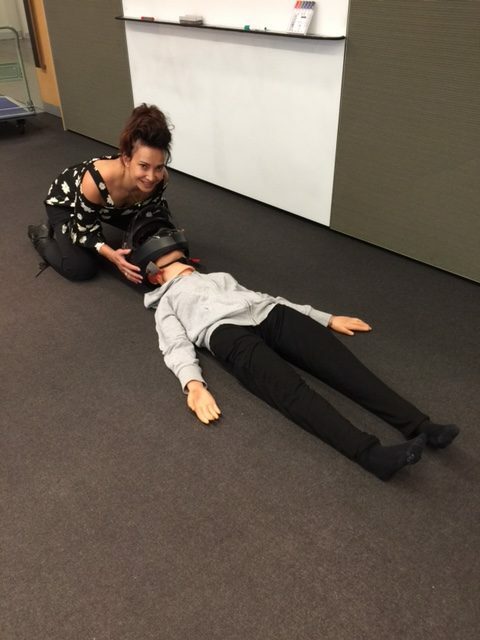 Her knowledgeable, energetic and engaging style ensures that every participant is actively involved in the learning process and completes the course with genuine life saving skills.